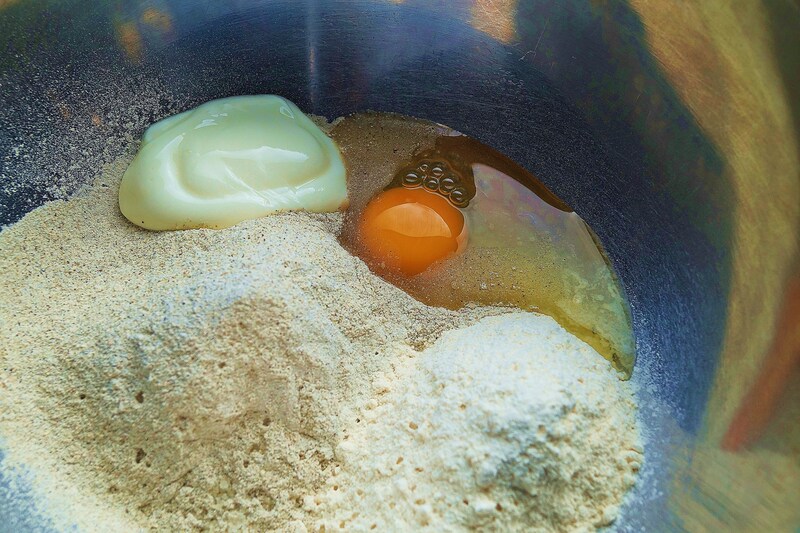 Put all the ingredients in a bowl but the water and start mixing. Add the water little by little until you get a smooth ribbon like texture. 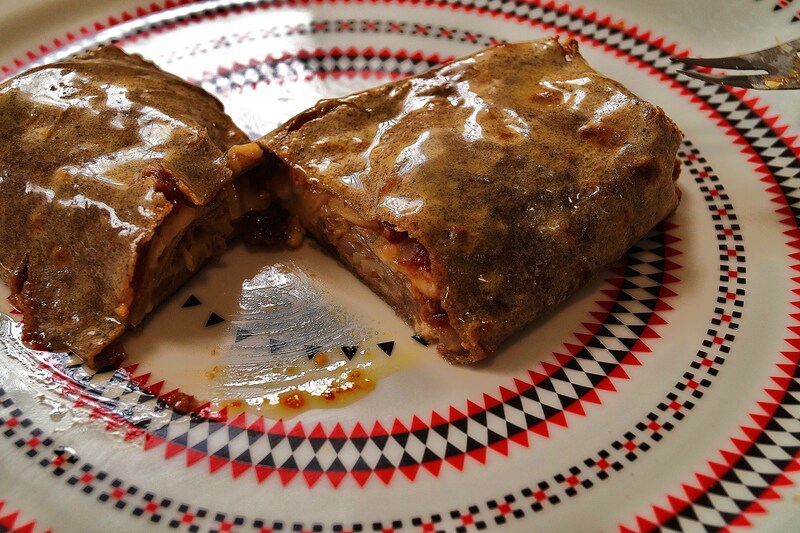 Cover with cling film and let it rest for a couple of hours in the fridge. ( like for the previously posted crepes); Melt 200g of butter and with some kitchen towel and an elastic band, make a little bun. Heat up a shallow frying pan ( or a crêpes one for that matter), dip your little bun in the butter and rup all over the pan. 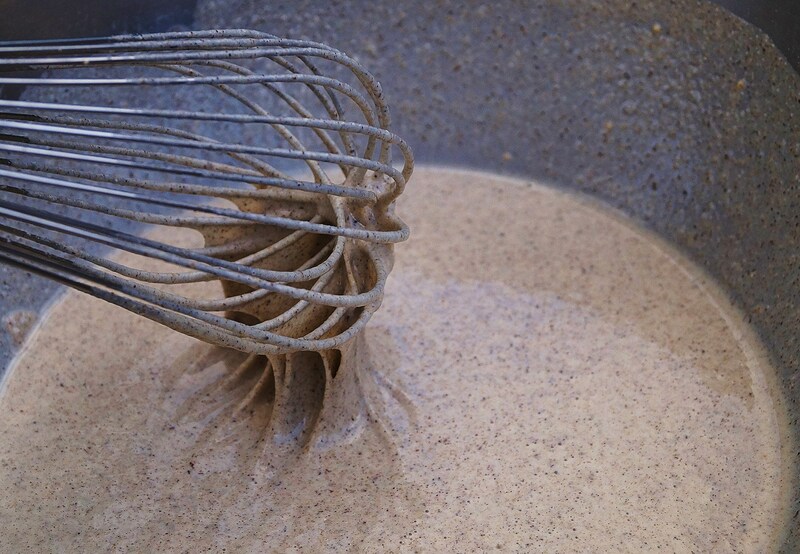 With a ladle, spread the mix quickly and evenly and turn on the other side when cooked for another little bit. 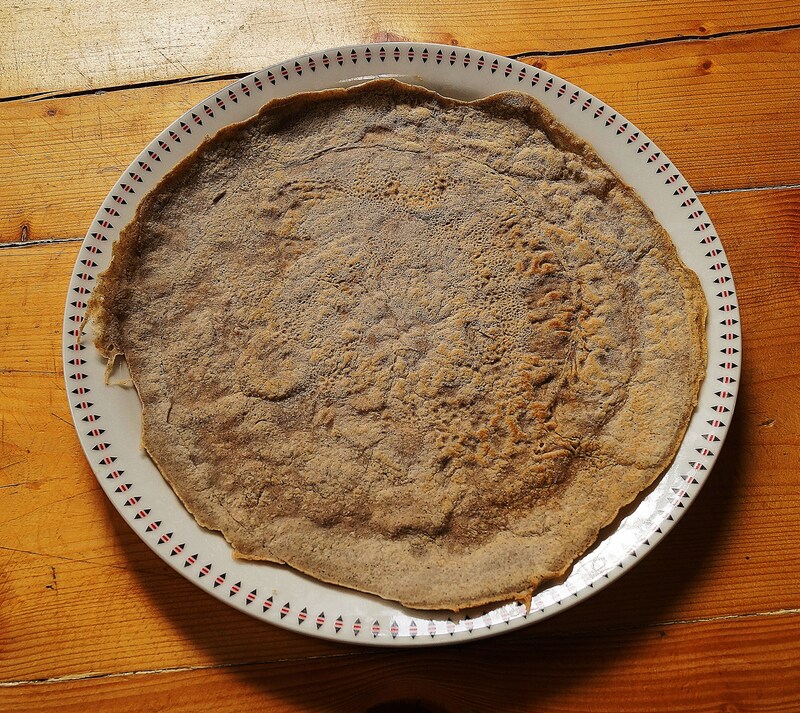 Repeat the operation and stack the crêpes. Set aside. 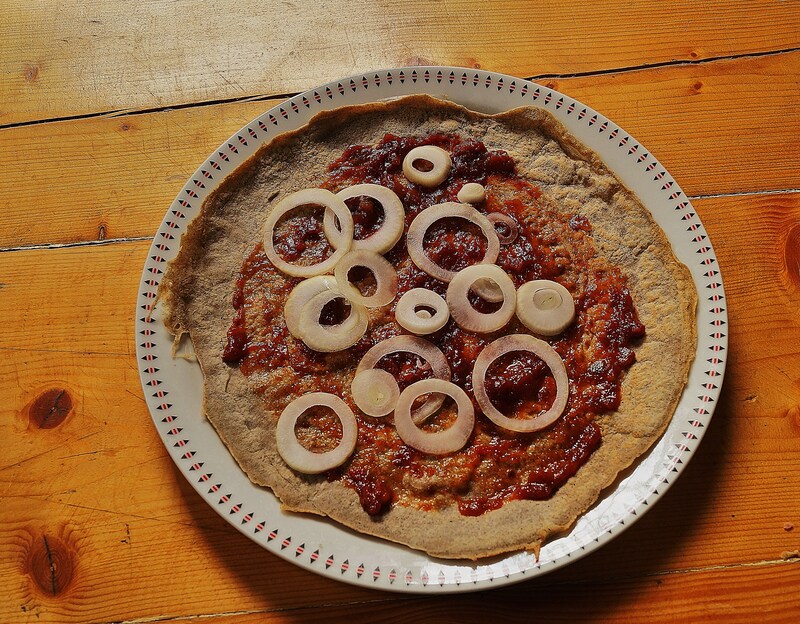 Put your favourite topping on the open “galette”, in this case I used a lovely Irish tomato chutney, organic onions from my neighbour and Caís na Tire sheep’s cheese from county Tipperary. 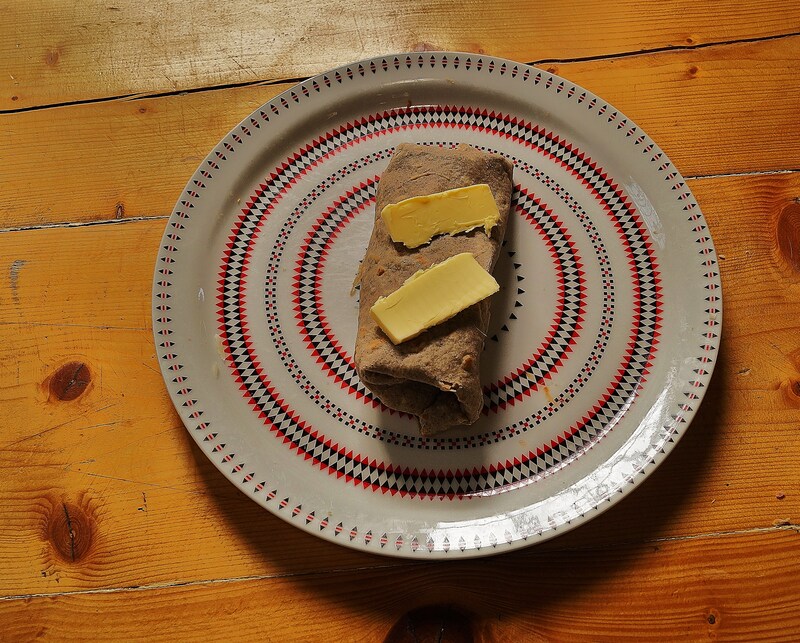 Fold as shown, lay on a baking tray, a “little” bit of butter on top and bake at 200c for 10-15 minutes… That’s it! Wow have never seen something like this! Love it! 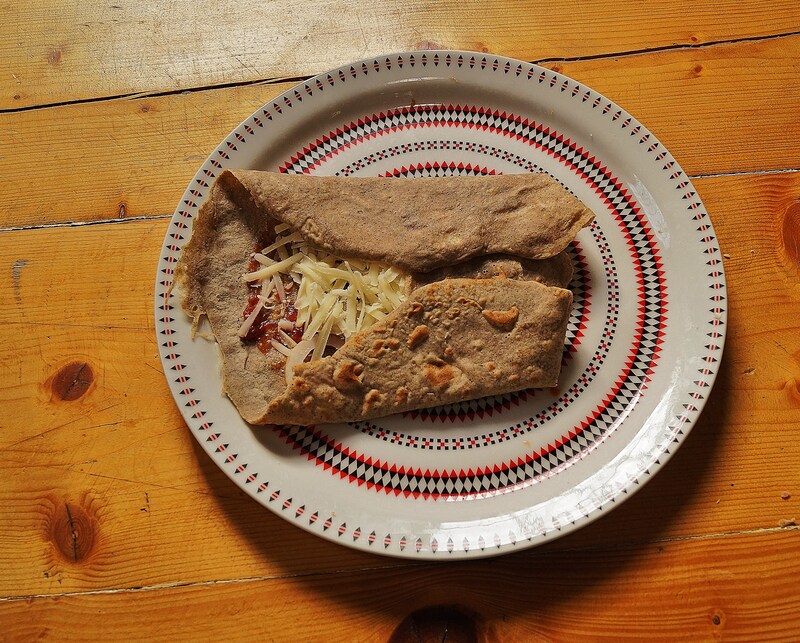 Savoury crepes…mmm just what I fancy! 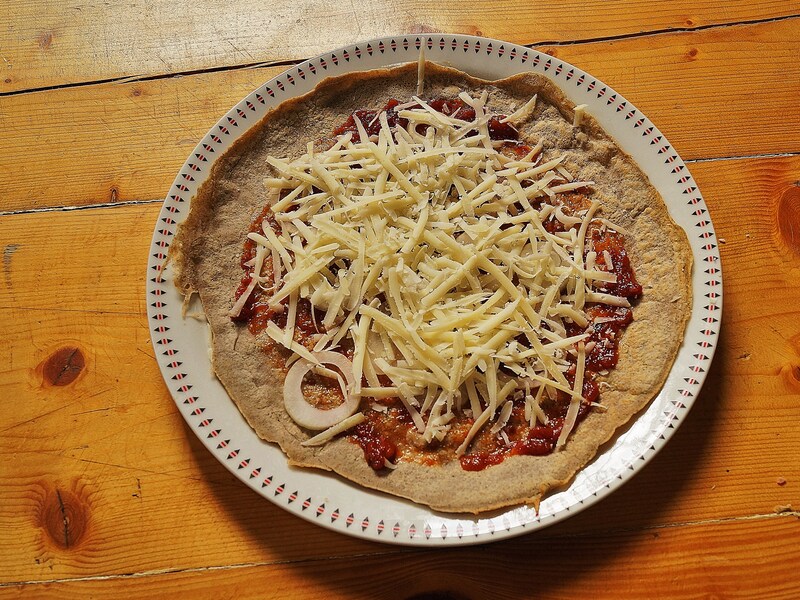 That looks excellent and the use of buckwheat leans towards the healthy. Only leans though. Nice.